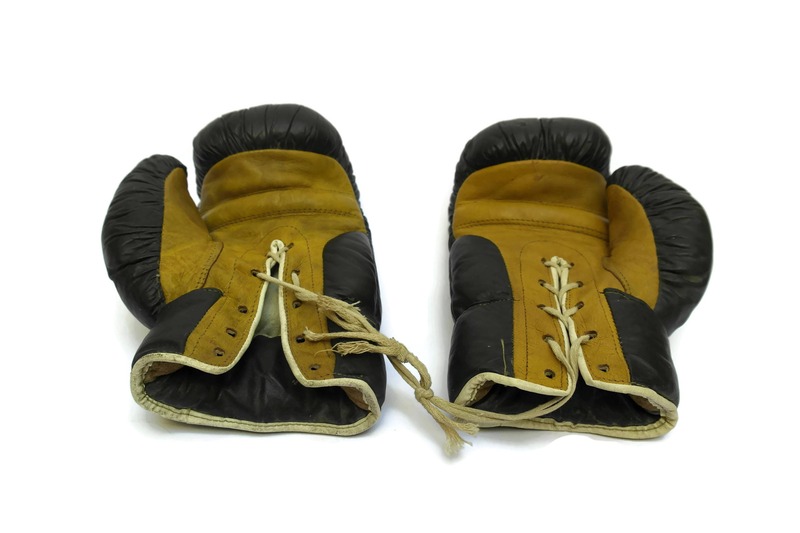 A stylish pair of vintage men's boxing gloves. 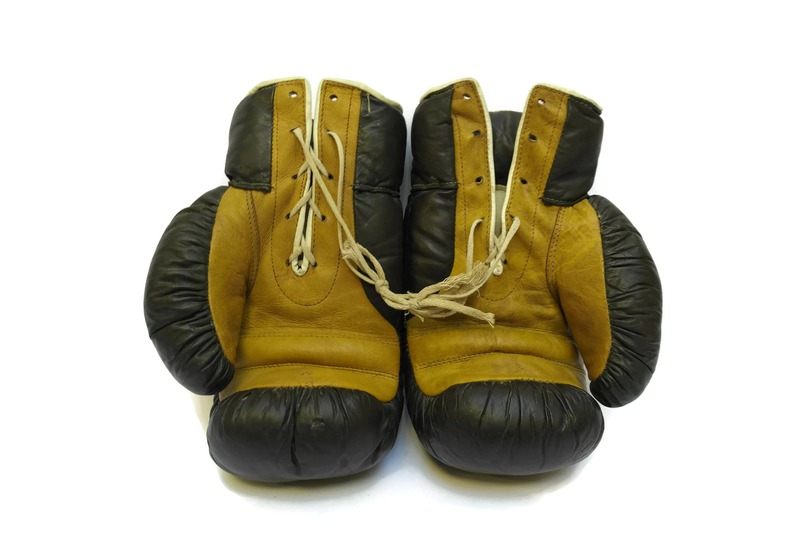 They have been constructed from soft brown leather with fine top stitching and are fully padded. The interior has been lined in cotton. 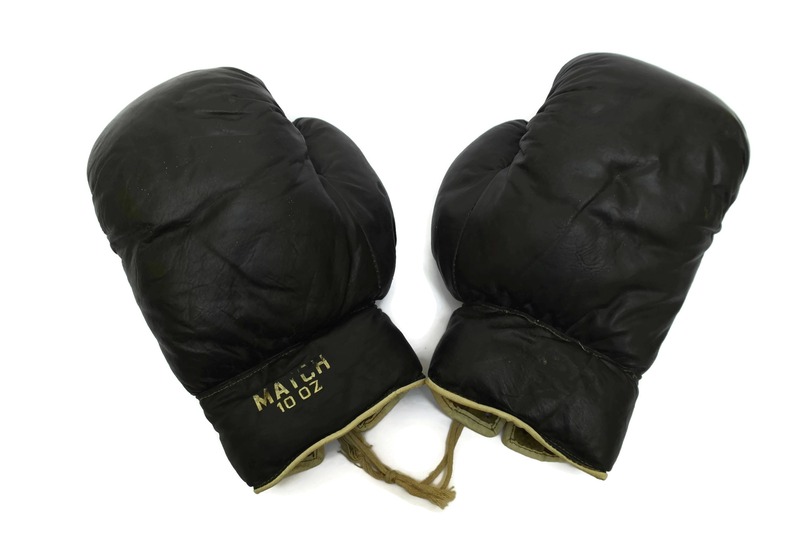 The leather boxing gloves fit an average man's hand and have been stamped with the brand name "MATCH 10 0Z". 10" Long x 6.5" Wide ( 25 cm x 16,5 cm). 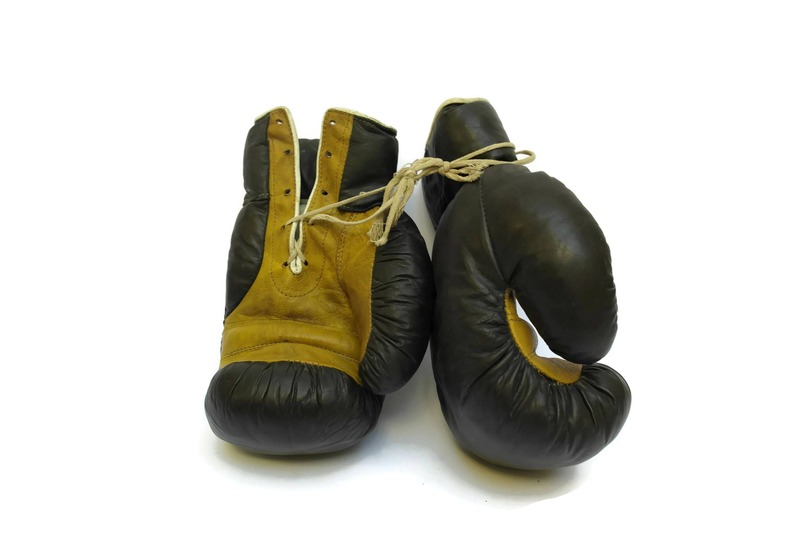 The vintage boxing gloves are in fair condition with signs of age and use. 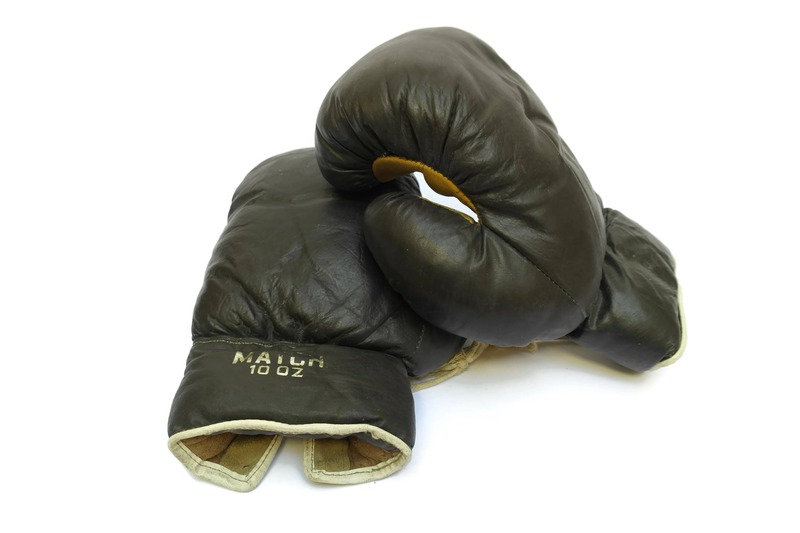 The leather is supple with a rich patina and marks to the surface in places. The laces are worn and broken.